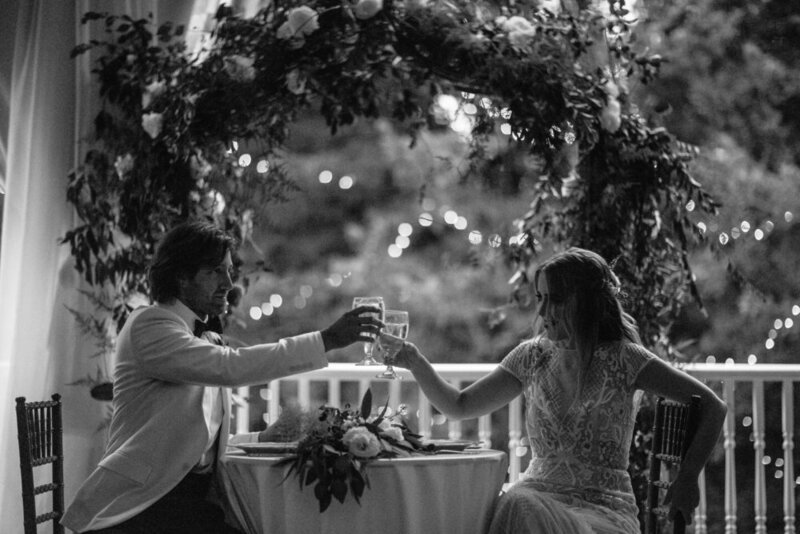 July in Nashville is known to be on the warmer side, but the day of Cassidy and Chris’s Summer wedding proved to be a beautiful day! The details of this wedding and the personal influences from the bride’s art background made this day extra special. The decision to have the ceremony inside the Mansion fit the couple and their vision perfectly. The ceremony was dreamy with the Mansion’s fireplaces and chandeliers and the greenery arch accented with white roses at the end of the aisle. The indoor ceremony allowed for a very intimate environment for the couple to share their vows. 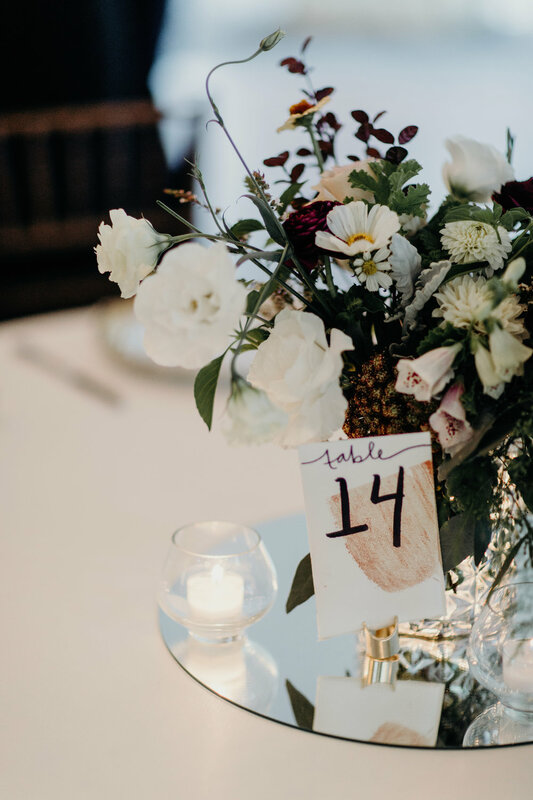 As an artist, the bride, Cassidy hand-painted various things for her wedding-from the invitations to the table numbers, seating chart, and even the beautiful artwork behind her cake all these custom pieces added a subtle pop of color and a very personal touch to the festivities. As with most weddings at Riverwood, once the music stops, the sparklers come out! Cassidy and Chris made their way down the path hand in hand while their guests cheered. The couple made their great escape in a charming vintage car, ready for the wonderful journey ahead!